The statments that visible /invisible have exceptions occurs at least 5 times, 1 in each section. Microorganism is the scientific word for germs. Germs are almost everywhere humans can venture, and in many places on the planet where we cannot ever go, but they are an invisible presence. Many people automatically assume germs are bad, because they cause infectious disease, but most germs (or microbes, as they are also called) are no pathogenic, and both the working of the living world and biological cycling of matter on earth, and human survival on intimately dependent on the diverse chemical activities of microbes. Another reason microbes are important is that all other life descended from them. Current scientific investigation of microbes are revealing clues about the earliest stages in evolution of life on earth which occurred some 4 billion years ago. Microbes are also important for teaching us about genetics, - the science of inheritance - because of the ease with which large numbers of them can be grown has enable biologists to work out the intricate details of inheritance in living cells, and led to discovery that DNA is the chemical through which traits are passed from generation to generation. 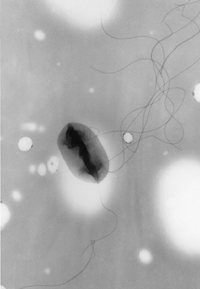 Investigation of microbes and their genetic behavior led to a great flowering of the biological sciences during last century, starting in the mid-1940. 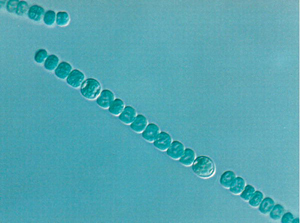 The study of micro-organisms is called microbiology. Before Anton van Leeuwenhoek's invention of the microscope and discovery of microorganisms with it in 1676, Lazzaro Spallanzani and Louis Pasteur, ended the long-held belief that life could spontaneously appear from non-living substances. Spallanzani found that microorganisms Pasteur ensured that there were no microorganisms alive in the broths at the start of his experiment. Nothing grew in the broths during his experiments, showing that the living organisms that grew in such broths came from outside, as spores on dust, rather than spontaneously generated within the broth. Thus, Pasteur decisively refuted the theory of spontaneous generation and supported germ theory. In 1876, Robert Koch showed that microbes can cause disease, by showing that the blood of cattle that were infected with anthrax always contained large numbers of Bacillus anthracis.Koch's postulates. Though these postulates are no longer strictly accurate, they remain historically important in the development of scientific thought. ↑ Annu Rev Microbiol. 2001;55:105-37. Big bacteria. Schulz HN, Jorgensen BB. Videos of bacteria swimming and tumbling, use of optical tweezers and other fine videos. This page was last modified 01:02, 11 November 2007.